If Starbucks can get away with pumpkin spice in September, then we can start our "pumpkin everything" craze too! This slime was so easy to make with E helping me and kept both kids entertained for awhile! E had so much fun helping make the slime and then playing and stretching it but we decided to pull out our fall-themed playdough tools as well. I knew that H would want to put the slime in his mouth and he probably wouldn't like the way it felt anyway so we mixed things up for him. Finally, E did a seek & find sensory bag with our slime. 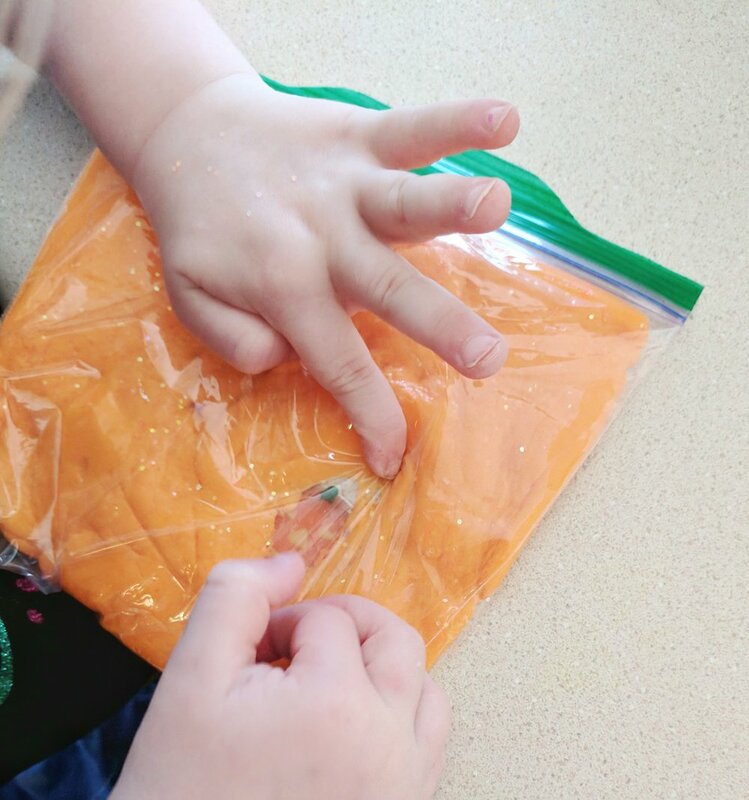 I stuck pumpkin stickers to the inside of a plastic bag and laid the slime on top. She was able to squish the slime around to find each pumpkin! We loved our slime activities and are enjoying everything pumpkin lately! Make sure to tag us if you decide to try it, I would love to see your ideas for different activities using it!